Welcome to Murataya. 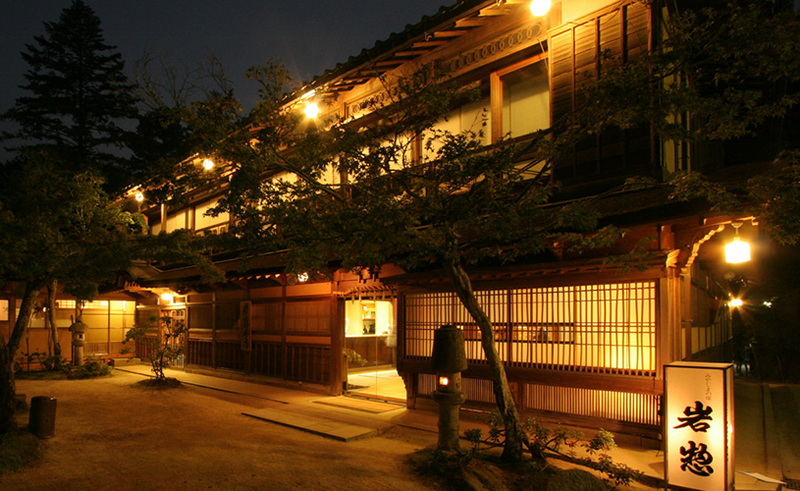 This 3 story wooden Minshuku has 11 Japanese-style guest rooms. 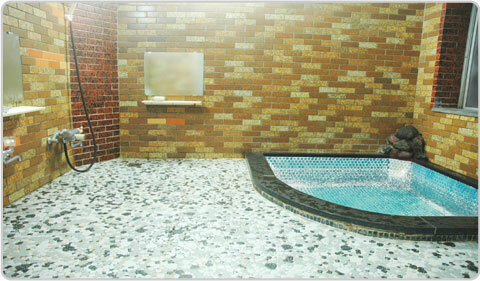 There are shared baths for both women and men (same gender only) as well as a lovely Japanese garden. 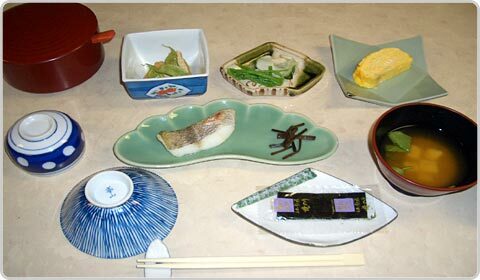 Traditional Japanese-style cuisine is served to the guests at Murataya. Check-in time is after 15:00 and check-out time is before 10:00 am. Parking is available. Very nice place and people, warm welcome, hosts very helpful and discrete. Very quiet and clean,to be recommended! I would highly recommend this ryokan, the people on reception were friendly and helpful about how to get around and places to visit. 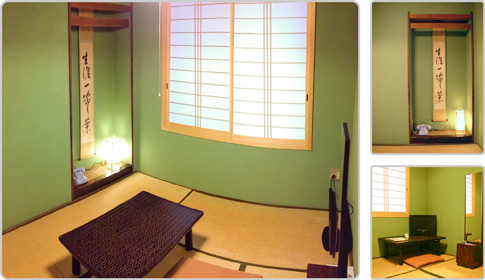 The room was just what you imagine when you think of a traditional Japanese room for your stay. My heavy case "miraculously" found it's way to my room as I had arrived before check-in time and then left it until my return! Everywhere was nicely presented and clean. I also took advantage of the indoor bath to relax after a hard day's sight seeing! Great place, the only reservations you should have are those accepted at reception! An excellent place to stay. Staff very helpful and friendly. Well located in shopping district and only a short walk from Kenroku-en (garden) and Nomura Samuri quarter, etc. Breakfast disappointing – we opted out for second and third mornings. 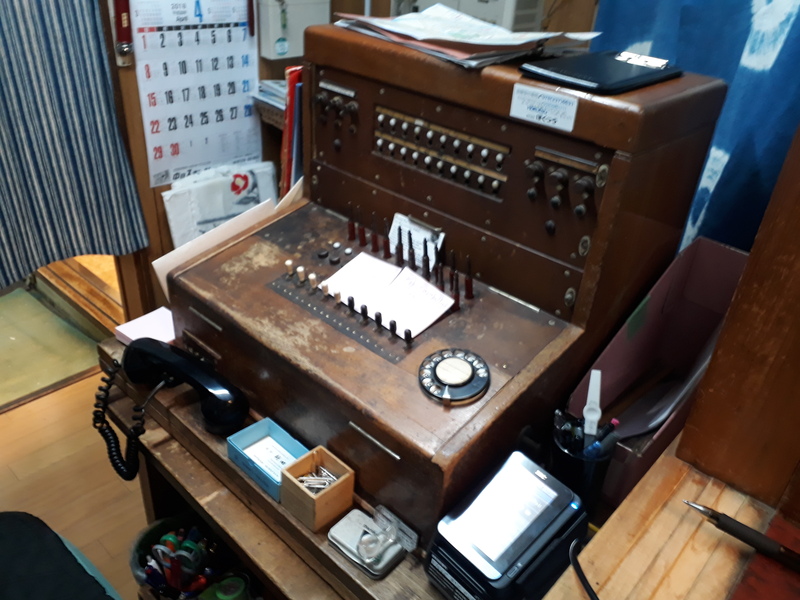 Loved the still-functioning early C.20th telephone exchange in reception! Great place to stay in Kanazawa. Warm welcome of "sweets" and hot tea and provided with a beautiful hand drawn (by Mum) map to explore the surrounding area. Centrally located with easy access to city buses. Great dinner recommendations from Yuuichi - we took the Sushi Bar just around the corner. Must stay longer next time. Freshly prepared Japanese breakfast a winner. We (My wife, myself and our 2 sons ( 28, 21 ) had a wonderful experience @ the Ryokan. Beautiful Ryokan in a very good location. The owners are very helpful and nice. A very nice place to stay. Good service, really nice room. Ryokan in the centre of Kanazawa, close to the main street. No traffic or other noice. Very clean. 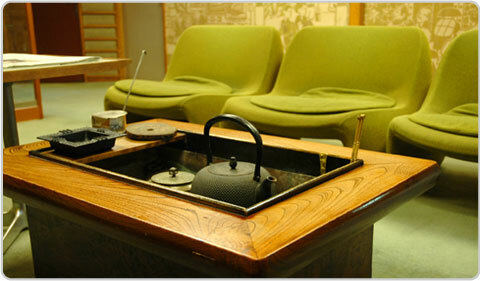 We recommand to everyone who like to stay in a Ryokan. We are a couple and stayed in Murataya for 2 nights! It was such a great host. All the workers are so nice and helped us get the best from Kanazawa . The room was big and very clean ! The only thing is missing is a traditional dinner. I was there with my husband, perfect position, nice location and great welcome. Staff very helpful and friendly. I chose this place for my 'ryokan night' to change things up from staying in business hotels, and it delivered. Understand that the room is still small (with a decent storage closet) and the washrooms are communal, as is their traditional Japanese shared bath; it might not be a hot spring but it's definitely hot. It's still a modern building, plenty of outlets plus wifi. The staff made a point of helping with everything from dinner recommendations to looking up transit schedules to calling ahead to local tourist spots to reserve me a place in their tour. They aren't all fluent in English but at least one is and they're all eager to try. The place itself is just a few blocks from a JR bus stop and right off of a little shopping road. 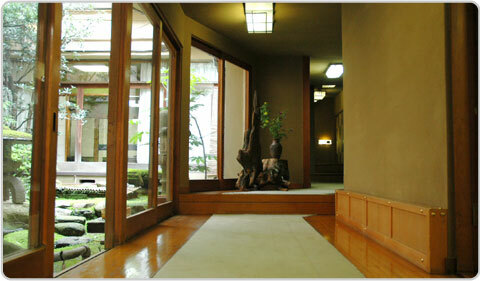 Overall, this is a great place to ease yourself into the ryokan experience. Warm welcome, nice people speaking a fluent english (! ), good position and nice structure. Just one complaint: it would have been perfect if the bathroom was indipendent, inside the room. On the other side I have to say that I have never had to wait for it, and that it was always perfectly clean. A nice family place, always smiling and ready to help you. My wife and I had a great stay here. 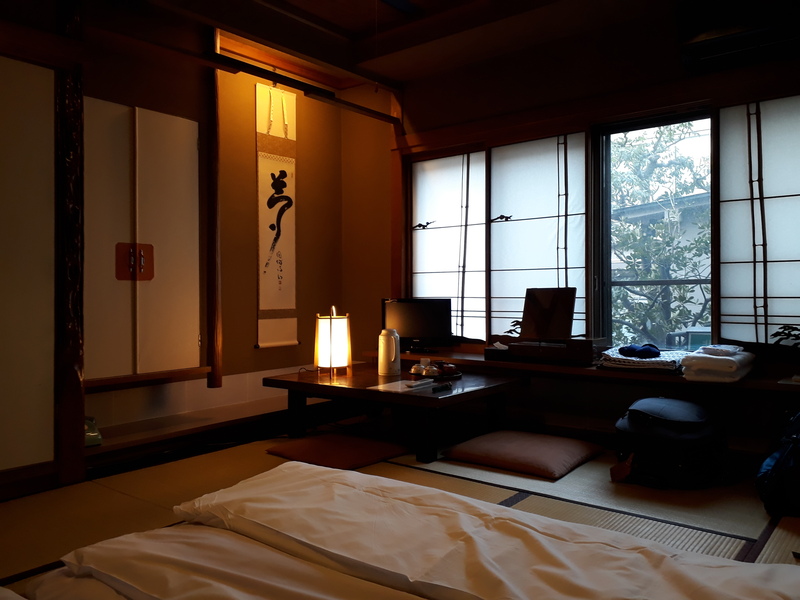 The room is cosy, and the rest of the minshuku is clean and well-presented. The place is really close to the main street, but without any noise of traffic, etc. The best part about staying here was the service: it's the little things. 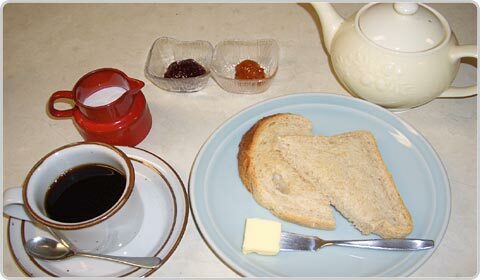 When we arrived, our host 'snuck into' our room and poured us hot cups of tea before we got in. Also, Yuuichi (I think their son) provided us with top dinner recommendations each night. He even researched what bus we needed to take the next day after we chatted to him the night before and had said in passing that we still needed to work that out. Such a lovely family run business. Kanazawa was a great place, and Murataya made it that much better.